Good loudspeaker cables do not have to be expensive. And we at Mains Cables R Us believe that Black Rhodium’s budget speaker cable, Twist, punches way above its weight. 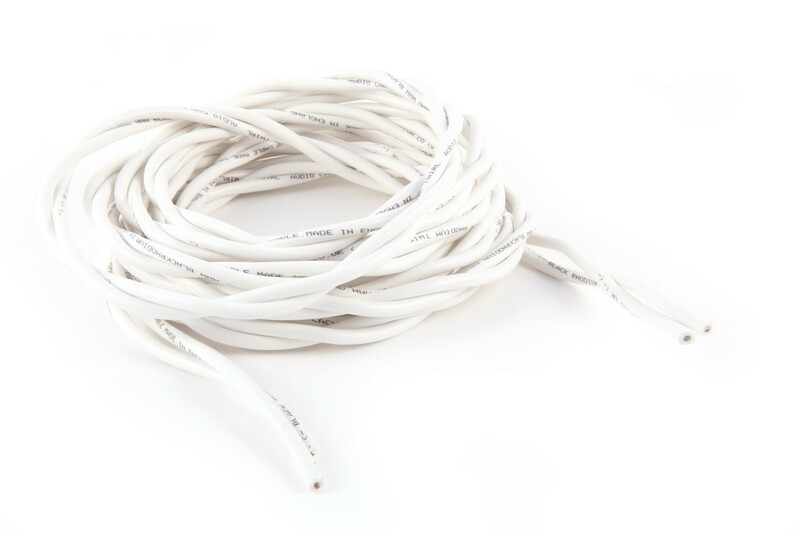 2 core cable, with total outer diameter of 6.4mm, 3.2mm thick conductors. Silicone rubber insulation for accurate portrayal of leading edges and decays in music. Twist is twisted along the length of the cable to prevent the loop “aerial” effect to prevent audible distortion to sound quality. Double the thickness of insulation compared to previous Black Rhodium speaker cables to deliver a more natural sound. Can be terminated with Black Rhodium’s high quality gold-plated banana plug with metal body, which offers secure fit for improved connection. Recently awarded 5 stars by HI-Fi Choice, here is the Hi-Fi Choice Black Rhodium Twist Review. Also awarded 5 globes by Hi-Fi World. Latest customer to receive his twist cables…. I must say that I’m very impressed with this cable. It’s not got the finest detail but it comfortably beats cables costing significantly more. I was most impressed by the soundstage, with a real 3d feel. This costs not much more than cheap and nasty cable. With the free z plugs its a no brainer.